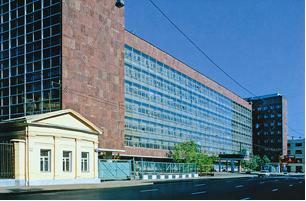 Leave a Comment on Do not judge a building by its façade. Public housing has a rather negative image – initially associated with slums and poverty, these areas were (and still generally are) avoided by middle to upper income citizens. Whether in fear of catching starvation, encountering violence, or simply being disturbed to see how the other half really lives, public housing venues are the last place you would find the “well-to-do”. 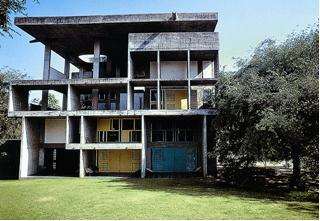 Le Corbusier, Shondan House, 1956. However, this sort of housing can actually be quite nice, and some countries are incorporating it into their city schemes for the entire population, not just the poor, huddled masses. A keen example of this is Singapore, which initially built government housing for the lower income citizens, but has now cast its net out to the middle and upper-middle income families. These “satellite towns” include schools, supermarkets, clinics, hawker centres, and sports and recreational facilities. In theory, this promotes family life, community, and general respect for one’s surroundings – things the youth of other cities in the world could stand to learn and appreciate. Le Corbusier, Tsentrosoyuz Building, 1929-1936. Admittedly, I get a bit of a Big Brother/Brave New World vibe from this whole concept. Riding past the Housing and Development Board’s buildings in Singapore has sent a cold shiver down my spine more than once. If you really think about it, the government basically knows where you are, what you’re doing, and if you’re doing it wrong at all times, much like Minority Report or the Matrix. Ah, skin crawling again. Nevertheless, all in all it is a model other large cities with urban sprawl would do well to adopt. 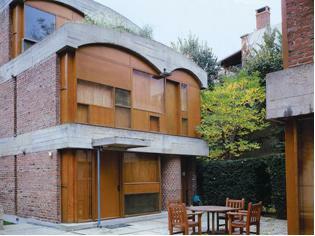 Would this concept have developed as well and as far as it did without Le Corbusier? Probably, but not as soon as it did. Check out Le Corbusier: An Atlas of Modern Landscapes through 23 September at the MOMA to see how far the “slums” have truly come. Get some design tips for your own abode from The ABC of Style by Émile Bayard or admire some of the world’s greatest monuments in 1000 Monuments of Genius, both available through Parkstone International! Previous Entry ¿Se puede considerar a la guerra un arte?